So I'm back to blogging hehe... CONSISTENTLY. Personally, I've been feeling a lack of something, and writing brings that something ya know? I LOVE making feelings come to life, I LOVE sharing my heart, and honestly pouring my thoughts, heart etc onto this corner of the world wide web is my therapy in many ways. So why not kick off the LAST month we will ever have living in 2017 with clarity, commitment and focus? Who says you have to wait until the new year anyway?! 1. Goals give you focus. 2. Goals allow you to measure progress. 3. 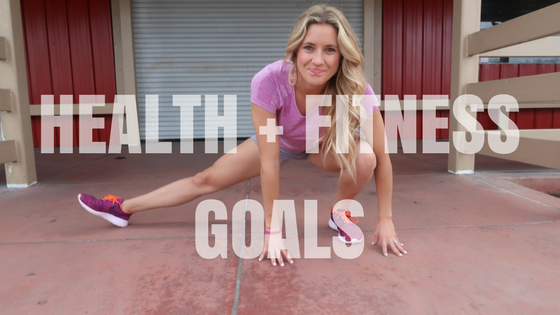 Goals keep you locked in and undistracted (love this one!). 4. Goals help you overcome procrastination-- DEFINITELY need a little help in this department. 5. Goals give you motivation. December, you're going to be over before I know it. Another trip around the sun will come to completion, and 2018 will be in full swing. But before you leave, I have a few things I want to accomplish. 3. Follow my PCC eating plan which allows me to live balanced, but focuses on enough of the right foods in my life-- super important to steer clear of my past with binge eating. 4. Check in everyday to my virtual fit bff club and lead my girls by example. 5. Run 3-4x a week + build mileague. I miss running-- but I need to set the goal or it won't happen. 1. Blog once a day even if it's just recapping my day-- I personally want to use this as a diary of sorts so I can see what I was doing when to get what results! Sometimes I look back at pics and I'm like how did I do that?! What was I eating? doing etc? This will be either super embarrassing by sharing the real behind the scenes or it will be enlightening + helpful. Hopefully the later hehe. 2. Finish two books: Girl Code + The Obstacle is the Way. 3. Shut my online life off when husband walks through the door. (Self-confessed work-a-holic here) Needing to be more intentional to shut off... this will reduce anxiety and constant attachment to the world. 4. Wake up at 5 am for my quiet time, business development + to set my heart + mind right. 6. Positively encourage 2 people privately every single day with an intentional message. Welp, for now those are my goals eeek!! What are YOUR goals going into this new month?? I'm so excited to hear!